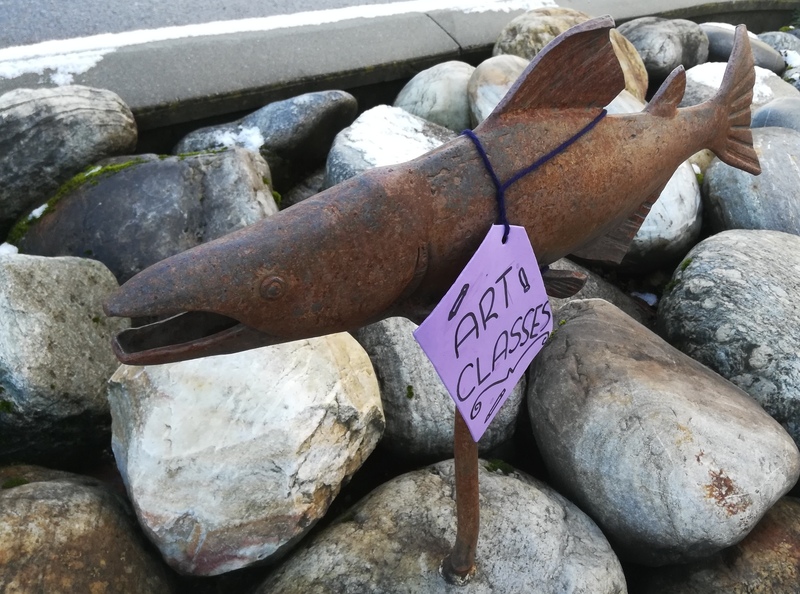 The fish statues at Mackenzie and Third have been struck again. 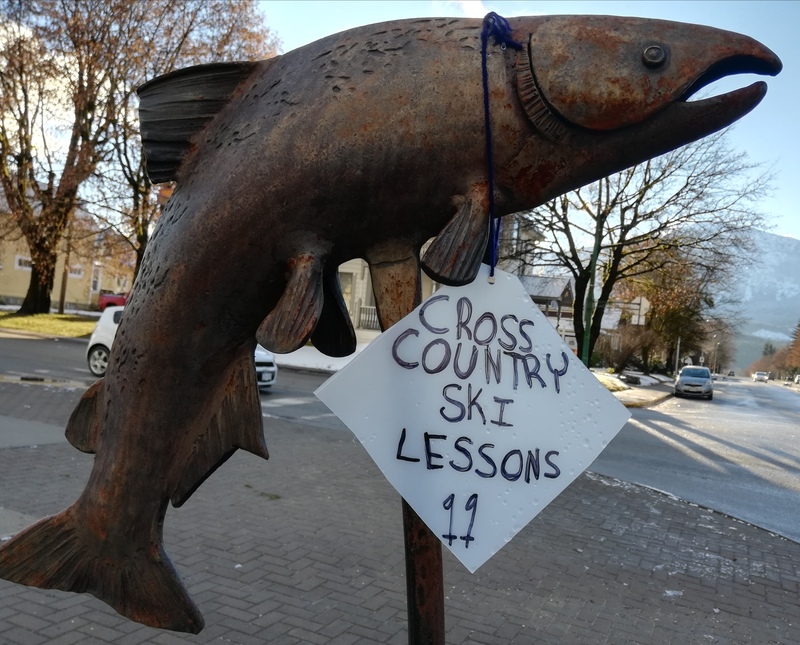 In years past, they’ve been decorated by the Phantom Yarn Bombers – accessorized with toques and scarves, and one halloween with masks and hats. 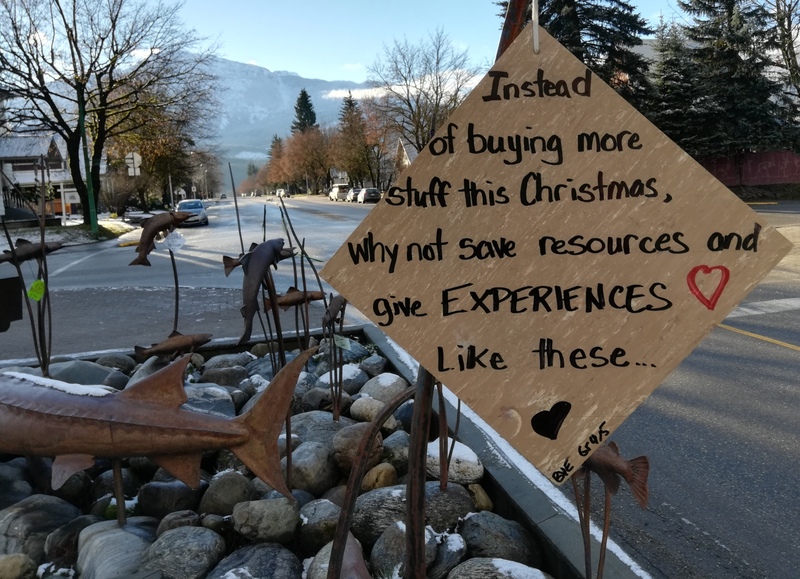 This year, the fish are adorned with signs aimed at encouraging local residents to focus on giving experiences this holiday season, rather than falling into the more commercial trappings of Christmas. Who is responsible? Looks like some Begbie View Elementary Grade 4/5 students with good intentions and ideas! 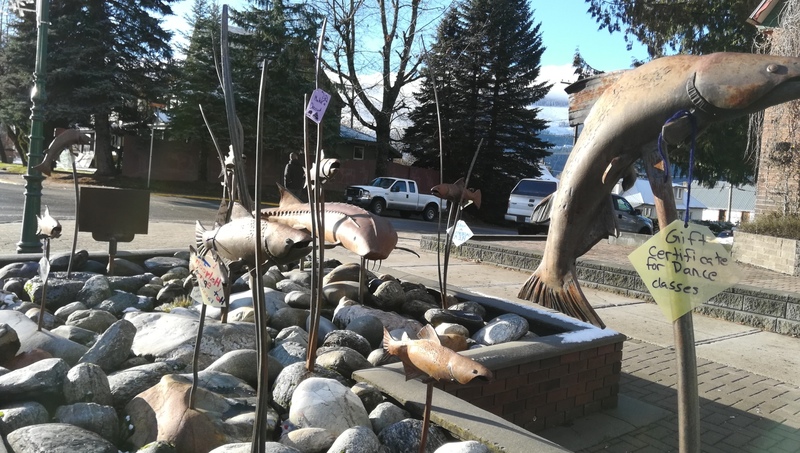 Each fish has a sign with ideas for gifting experiences.